The Danville Museum of Fine Arts & History contracted with CapDev for our new "Candidate Discovery & Screening" (CDS) search service. This model of executive searches is more affordable for nonprofits who need help broadening their candidate pool and can make use of the CapDev network and knowledge to deliver a more robust selection of candidates for next steps in the search process. Contact us to learn more about CDS. 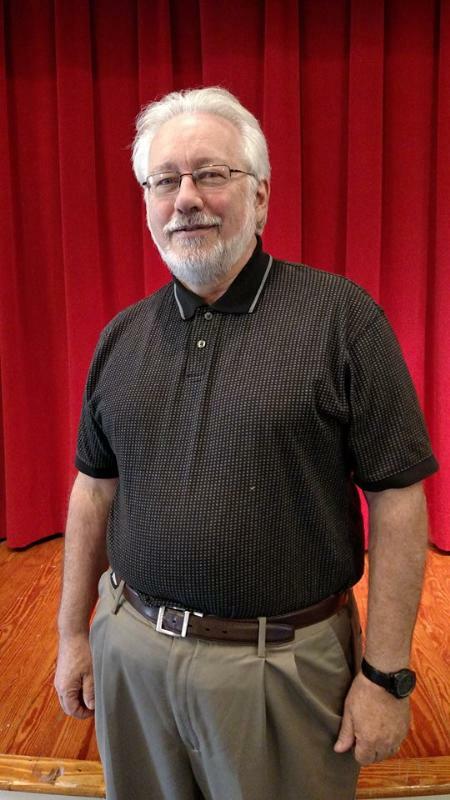 The Danville Museum of Fine Arts and History announces that Richard Loveland has been hired as its new Executive Director. Richard is no stranger to the world of non-profit organizations, particularly those with missions addressing regional history and cultural arts. As he assumes his duties in mid-June he brings with him over twenty-five years of experience gathered in a variety of museum settings. He has worked in organizations ranging from history and living history museums, art museums and galleries, to science and technology centers. This extensive background should prove particularly relevant to the museum when Richard helps to guide visioning discussions that are currently underway with the museum's Board of Directors. Prior to entering the museum world, Richard studied architecture at Virginia Tech, Museum Studies at Radford University, and graduate studies in Administration and Leadership at SUNY Plattsburgh. His professional background has also included media production, design, and project management. In 1990 Richard found that these varied skill sets magically came together when he encountered an advertisement for the position of exhibits specialist with the Hampton Roads Naval Museum. That museum was then seeking an individual with just such a background to assist in developing the schematic exhibit and architectural plans for the museum's relocation to the Nauticus Project, a $57 million waterfront redevelopment project in Norfolk, VA.
Richard later assumed curatorial responsibilities at the Mac Arthur Memorial where, in addition to the typical tasks associated with the museum's collections and exhibits, he was enlisted to design the Operation Desert Shield/Desert Storm Memorial for the City of Norfolk. Later, as Programming Department Head for the Virginia Air and Space Center/Hampton Roads History Center in Hampton, VA, Richard participated in the opening of that $30 million facility, coordinating permanent exhibit installation, architectural and building details, the initial educational programming, as well as creating the changing exhibit schedule. Subsequently, Richard held positions as Senior Director of Public Programming at Virginia's Explore Park, a 1500 acre living history center on the Blue Ridge Parkway, and he has served as Executive Director at four history and historic house museums, including the History Museum of Western Virginia, a resident organization of Center in the Square in historic downtown Roanoke. He also led the opening of the Battle of Plattsburgh Association, a twenty-eight acre museum campus on the shore of Lake Champlain interpreting the War of 1812. While in these positions, Richard worked with various architects and planners on the conceptual and schematic designs of numerous museum projects, including the planning and opening of the Blue Ridge Parkway Visitor Center, a cooperative project with both the National Park Service and Roanoke County. In addition, Richard had held a variety of responsibilities covering the other critical areas of museum management and operations. These include fundraising and grant writing, special events, educational programming and tours, collections management, marketing, and retail sales. Additional duties have included staff and volunteer management as well as facility operations. DMFAH is fortunate to have found a museum professional such as Richard to help lead the organization through its next critical stages in development. With his guidance, the board of directors will be investigating innovative options for future development. Richard has moved to Danville with his wife Louise, an educator, writer, and health care professional.